A femme twist to the classic Henley tee, this top is an ideal addition to your weekend wardrobe. A femme twist to the classic Henley tee, this top is an ideal addition to your weekend wardrobe. 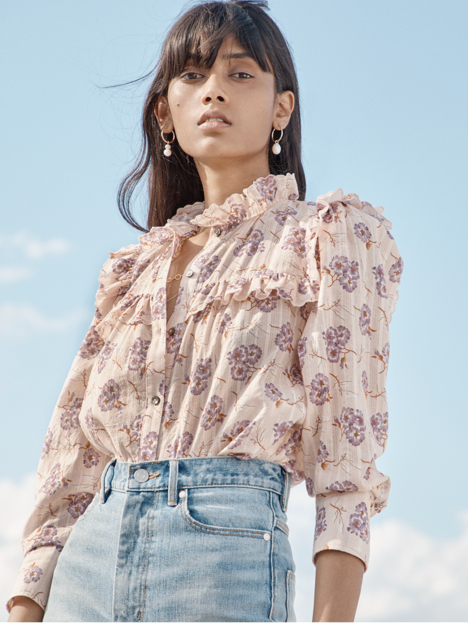 Its voluminous sleeves are scattered with blue and pink florals to contrast the washed black hue. Done in a soft, lightweight jersey, it’s an effortless way to elevate denim.